Kambos – Votsalakia in the region of Marathokampos. 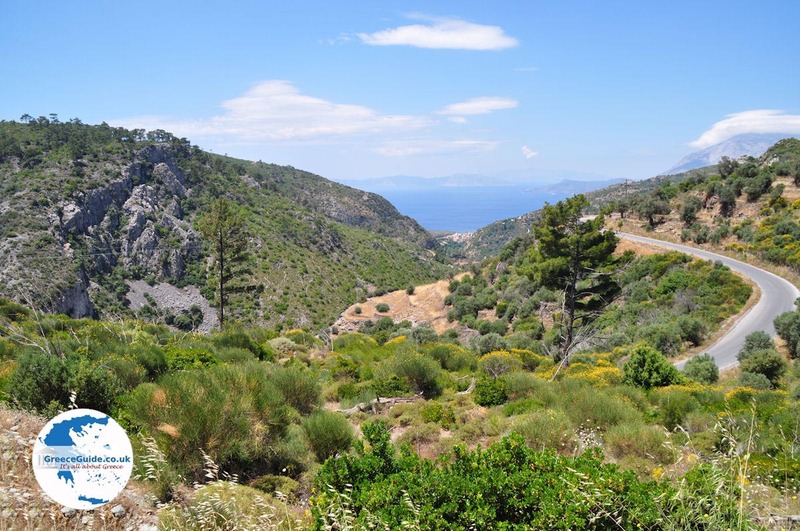 The region of Marathokampos is located in the southwest of the Greek island of Samos on the bay and includes the villages of Marathokampos, Agia Kiriaki, Koumeika, Neochori and Skoureika and the coastal towns of Votsalakia (also called Kambos), Pefkos, Limnionas, Psili Ammos , Balos, Valsamo and Makria Pounta. Marathokampos village is a traditional village with narrow streets and with all kinds of arches and vaults 40 kilometres from Samos. Here lies the mansion of hero Stamatis that can be visited. On the slopes of the mountains Kerkis are several impressive caves, best known are the Pythagoras cave, the cave of Panagia Sarantaskaliotissa (Saranta Skalia meaning forty steps) the cave of Panagia Makrini and the cave of Kakoperato. At the foot of the mountain Kerkis is the monastery of Evangelistria. Votsalakia. (Kambos) Down on the beach of Marathokampos, there are several resorts, best known is Votsalakia (this means literally pebbles). In Votsalakia are many tavernas and restaurants and also large and small hotels. There are several sandy and pebble beaches and the nightlife here is pretty good. 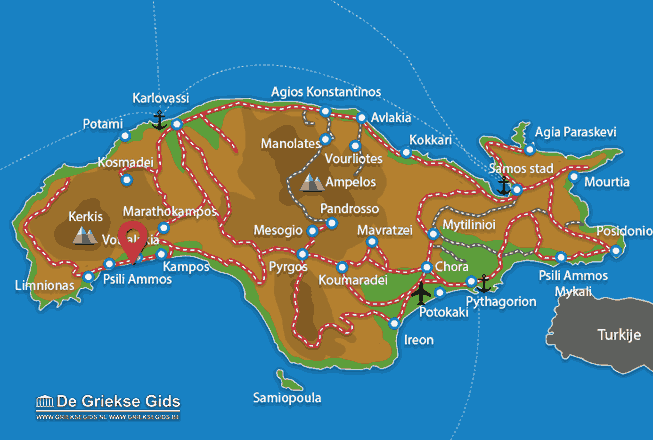 Samos: Where on the map is Kambos located?